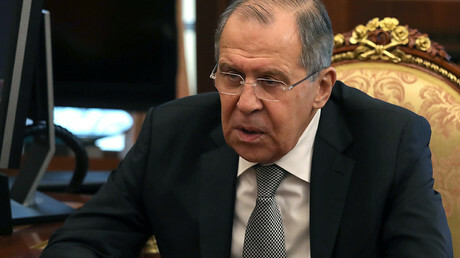 According to Lavrov, Washington’s sanctions against Moscow were not discussed during the meeting. As for a possible meeting between Vladimir Putin and Donald Trump, “the two presidents will meet when they decide that it’s the right time,” the FM said. Lavrov also emphasized that current developments in Washington are US domestic affairs, in which Moscow has no interest in meddling. "One should understand that we don't interfere in other nations' domestic affairs," he told reporters when asked if "turbulence" in the American capital has ramifications for US-Russia relations. Tillerson described his meeting with Lavrov as “productive,” saying that a range of bilateral issues were discussed. “The US will consider working with Russia when we can find areas of practical cooperation that will benefit the American people,” the secretary of state said in his brief statement. “Where we don’t see eye to eye, the US will stand up for the interest and values of America and her allies,” he added. Washington expects Moscow to “honor its commitments to the Minsk agreements and work to deescalate the violence in the Ukraine” as the two nations search for common ground, Tillerson said. Areas of mutual interest might include “counter-ISIS [Islamic State] and counterterrorism” efforts, State Department officials said at a special briefing. Ukraine and the issue of economic sanctions look like becoming a stumbling block for future dialogue between Moscow and Washington. President Donald Trump has claimed that Crimea – a region that was reunited with mainland Russia following a 2014 referendum – was “taken” by Moscow, prompting a measured but swift response from the Russian Foreign Ministry. “Crimea is part of the Russian Federation,” Zakharova told reporters on Wednesday. 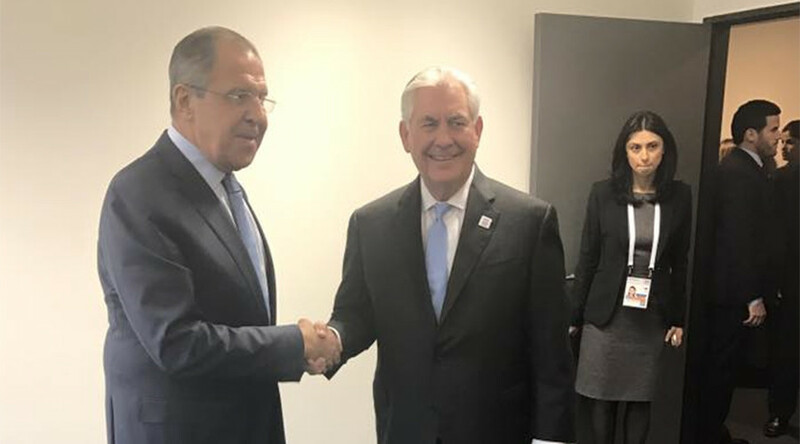 Lavrov's meeting with Tillerson came as US-Russia relations remain under particular scrutiny following the election of President Trump, who has repeatedly pledged to mend ties with Moscow.